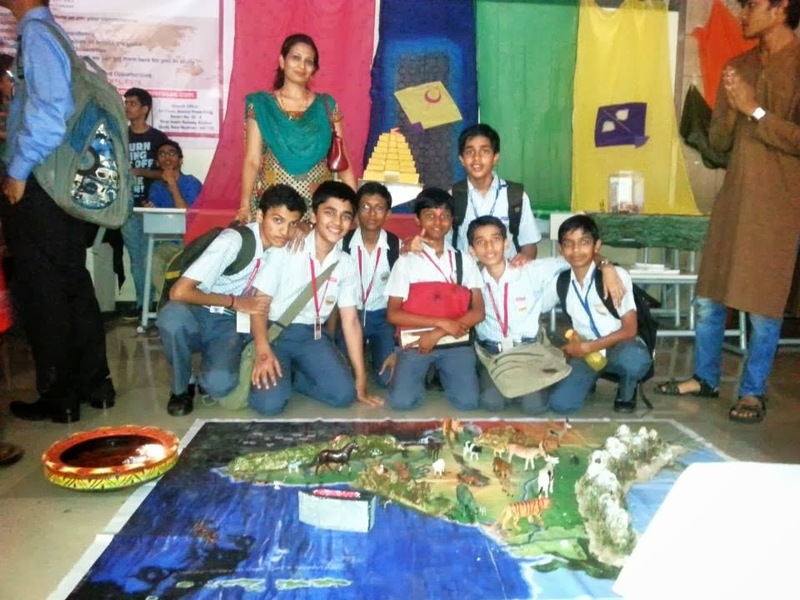 As part of National Science Day 2014, IDF organized a science tour for the students of Vivek Vidyalaya @ Goregaon Mumbai. The students were taken to D.J. Sanghvi College of Engineering, Mumbai to give an exposure into the mega event `TRINITY' organized by the engineering students. 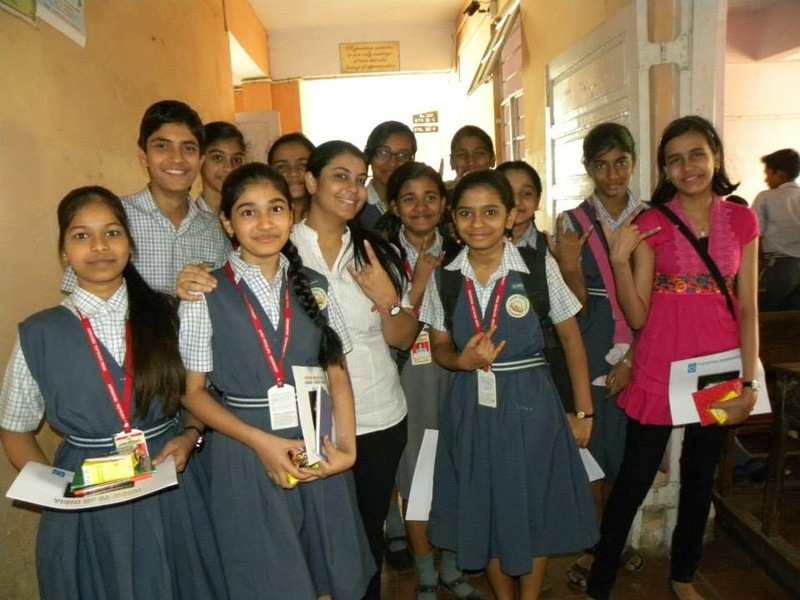 The students were led by IDF social ambassadors - Sachita Trivedi, Khevana Gandhi and Nilofer Shaikh. Our special thanks to Team DJSCE - Misha Sheth and Smit Shah and the entire Trinity team for the wonderful tour. — with Narayan Iyer, Nethra Narayanan and Sachita Trivedi at DJSCE Trinity. The students of IDF's Sr. Ayyappan Bal Gurukul @ Bangalore were taken for excursion to Bannerghatta National Park on 27th Feb. 2014. The event was excursion to Bannerghatta National Park on 27th Feb. 2014. The event was co-ordinated by Mr. AG Prakash, Principal of Sri Ayyappan School and Mr. Ramakrishnan Zonal Officer, IDF. It was a great moment for the children to get an exposure. 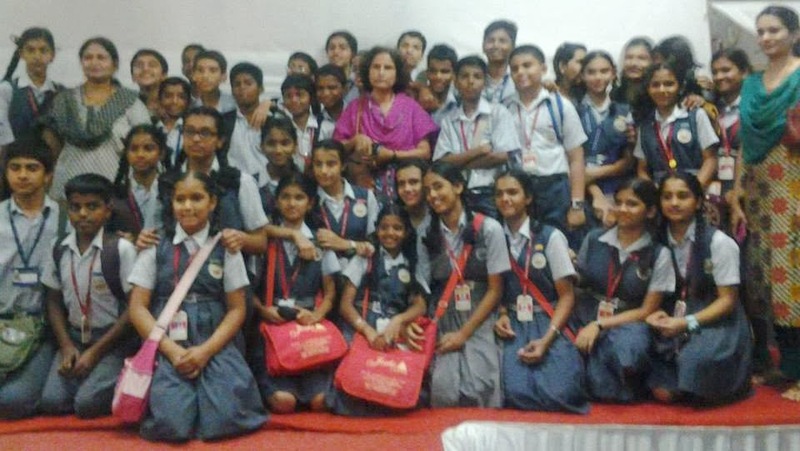 The excursion was organized as IDF's iDiscover programme to inculcate scientific temper in young minds. IDF Salutes SBOA Schoolteam, Chennai for their magnanimous support. Team IDF - Dr. Narayan Iyer and Mr. S. Sreeram - visited SBOA School & Junior College, Anna Nagar, Chennai on 25-02-2014 and received the voluntary contributions mobilized by the schoolteam. IDF Salutes SBOA Schoolteam for supporting humanitarian projects - (leprosy/TB/ education). Team SBOA appreciated the national programme of IDF and expressed happiness in participating in various social projects. 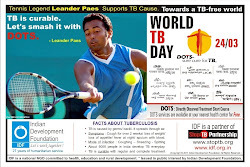 Indian Development Foundation with KSTBA conducts TB awareness at Assumption church, Bangalore. Parish Priest Mr.Henry and Asst. Priest Marie Louis announced to the masses about the awareness drive being conducted and also advised them to acquire the information been given in from of pamphlets and other literatures. 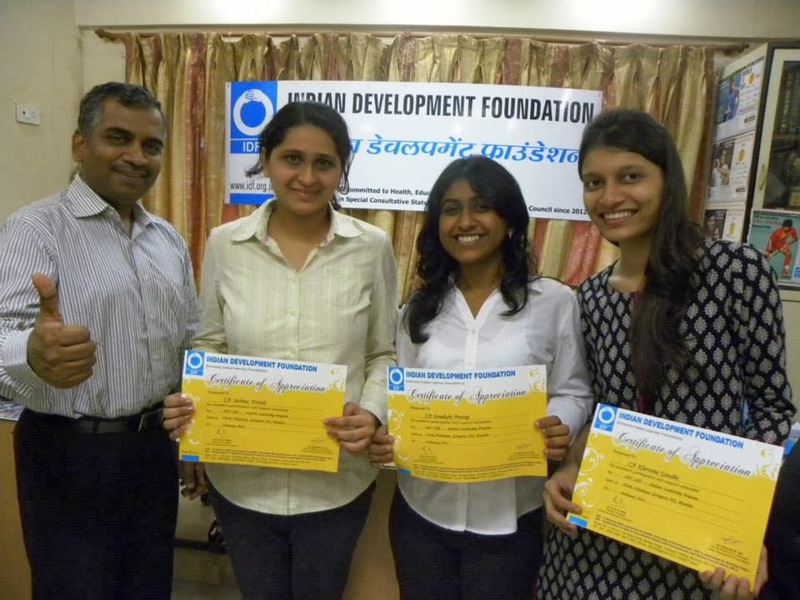 IDF Social Ambassadors - Sonakshi - Sachita - Khevana - Prashakha - who launched the IDF CofE for Juniors, a student leadership programme for the students of Vivek Vidyalaya, Goregaon, Mumbai, successfully completed the first batch on 22nd Feb. 2014. The student leadership programme for a batch of 50 students were conducted on 4 Saturdays of February 2014 for 4 hours each. The students felt extremely happy at the end of the session as the team energized them with leadership skills. More such programmes will be organized in the coming sessions. Volunteers with excellence in teaching skills are requested to come forward and enroll for IDF CofE programs which will benefit students in various schools in India. Indian Development Foundation (IDF) conducted Health Awareness Program (HAP) & TB awareness Program at Alpha Public school, Doddaballpur, Bangalore. The Programme was conducted by Mr. Arulraj and other IDF members. Approximately 200 students and few teachers were present. Students were very attentive throughout the entire session. Students were shown videos on symptoms, preventive measures, effects and general information on health awareness. Principal and Teachers were also very much impressed by the efforts of Indian Development Foundation. Principal thanked the IDF team for their efforts. Health Awareness Programme in Bangalore. 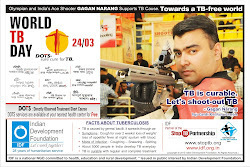 Indian Development Foundation (IDF)in association with Karnataka State TB Association (KSTBA) and Good Neighbours India (GNI) jointly organised a Health Awareness Programme on TB. The programme were organized at Govt.Middle school, White field and Adarsh Retreat, Doddakanahalli, Sarjapur Road in Bangalore.About 250 students and Teachers attended the programme. The school admin and teachers thanked us for conducting such programme. IDF appreciates the effort of Mrs.Gayathri - Project Manager, Jayamma - community coordinator - Good Neighbours India, Mr. Shenoy, KSTBA. IDF appreciates Nirmala Higher Primary School, Bangalore. Indian Development Foundation (IDF) appreciates the efforts of Nirmala Higher Primary School, Shanti Nagar, Bangalore. 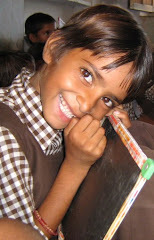 School has been a constant support to the social objectives of IDF. IDF awards the students and the school authority for their efforts. Indian Development Foundation (IDF) conducted a health Education Programme at Alpha Matriculation School, C.I.T. Nagar, Chennai on 19th February 2014. Mr. S. Sreeram, Manager - Tamilnadu & Puducherry and Mr. K. Sathyamurthy, Voluntary Officer conducted the programme. IDF thank the Principal, the teachers and the students of the School for extending support to IDF's humanitarian projects. Yoga Teacher Rajeshwari B. joins hands with Indian Development Foundation to teach Asanas and Breathing techniques to the students of IDF Bal Gurukuls. She has delivered a session on yoga in Sri Ayyappan Educational Trust High School. Principal was happy and assured to continue the sessions further. IDF appreciates the efforts of the school Ms. Rajeshwari B.
Koshish - Trying to understand a 21st century child. Vivek Alumni Association and Indian Development Foundation (IDF) organized a seminar by Prof. Prajesh Trotsky (Motivational Coach) for the parents of Vivek Vidyalaya, Goregaon (W), Mumbai on 15th February, 2014. The motivational message was well received by the parents. Indian Development Foundation organized Health Awareness Program for Kings Looks Tailoring Institute and Government Tailoring Centres, Thiruverumbur. About 160 people participated in the program. Students of Holy Angels excel in social service. IDF organized a social service field trip for the students of Holy Angels School, Vijayanagar, Bangalore to Sumanahalli leprosy project at Magadi Road, Bangalore. The students went round the centre, interacted with the inmates and also saw the excellent rehabilitation activities carried out by the centre. IDF partners with Sumanahalli. Our special thanks to Mr.Lokesh, Principal of the School for extending wonderful support to IDF and leprosy cause. Also congratulations to Team Sumanahalli for the excellent care of leprosy-affected persons. 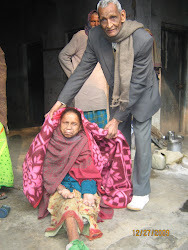 Indian Development Foundation in collaboration with Sagayamatha Leprosy Hospital, Pullambadi - Govt. Health Primary Centre, Thirumanur - Lions Club of Kallakudi at Trichy organized World Anti-Leprosy Day on 06-02-14. 2500 students participated in the awareness rally and leprosy-affected persons were given MCR chappals. Ms. Manimala and Mr. Solomon from IDF, Trichy co-ordinated the entire event with a human touch. Indian Development Foundation continues the dissemination of Scientific knowledge. Indian Development Foundation is a leading national NGO working for Health, Education & Development in association with Janyaa an NGO which focuses on developing creative problem solving skills among students organized an inter-school Maths & Science workshop for teachers Vivek Vidyalaya,Goregaon (W) on 1st Feb. 2014. The workshop was meant for Maths & Science teachers Standard. Teachers were explained the Mathematical & Scientific concepts by Prof. Prajesh Trotsky with the assistance of the Maths & Science kit, practical experiments and equipments. The workshop was conducted with a view to ingrain the concepts of Maths & Science and the entice interest among students for the same. The teachers would repeat all those experiments in their respective schools which would enable the students to understand the concepts and ultimately supplement their regular teaching. About 15 schools participated in the school and received the kits for the implementation of the programme.